Well, it didn’t take much, but Matt and I are officially drinking the controversial Citi Bike kool-aid. This weekend we took the bikes out for a spin and ended up signing up for annual memberships. On Saturday, after running down to Cold Process Coffee and getting injected with caffeine, we didn’t really feel like running home. Instead, we decided to test out the city’s new bike share program. After dipping our credit card and agreeing to follow the traffic laws, we were given codes to unlock our bikes. The bikes are definitely A LOT clunkier and slower than a regular road bike but it didn’t bother me much. They are perfect for commuting and I am confident that they will be able to stand up NYC’s weather and grime. We jumped on the bikes and road home on the path that runs along the Hudson. In about 15 minutes we were home. We had some difficulty locking our bikes into the station at 59th and West End, but luckily there was another station around the corner that accepted our bikes just fine. Since we purchased a 24-hour membership, we had access to the bikes again on Sunday. 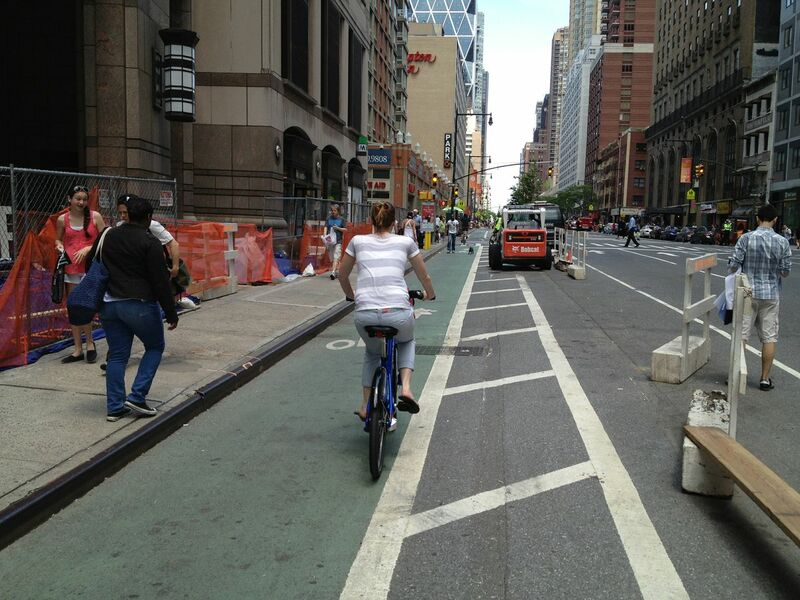 This time we rode the bikes from 59th and Amsterdam down to brunch at 44st and 9th. While we could walk this distance, it is nearly a mile and the bikes got us there in approximately 7 minutes. 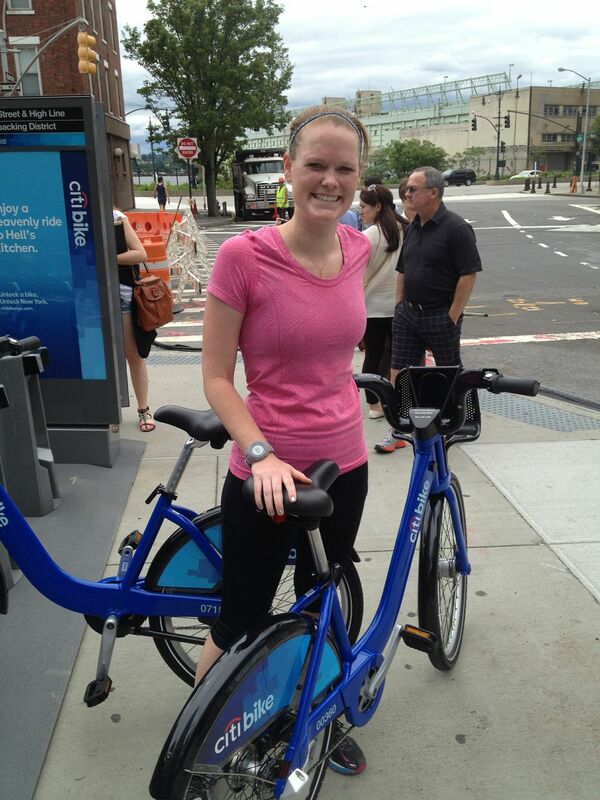 After a delicious brunch at Marseille, we grabbed two more bikes from the rack and rode up to Columbus Circle. The first station we went to (57th and Broadway) was full, so we ended up riding two blocks down to 55th and Broadway – no big deal. The bikes definitely make commuting around the city a bit more enjoyable and the recently added bike lanes make it pretty easy. I love biking, so I knew this program was probably going to be something that I enjoyed. However, the thing that I liked the most was taking control of my commute. While I do think NYC’s subway system is amazing, you are never quite sure how long you will have to wait for a train or when there might be delays. And with the traffic in the city – taxis are a shot in the dark. 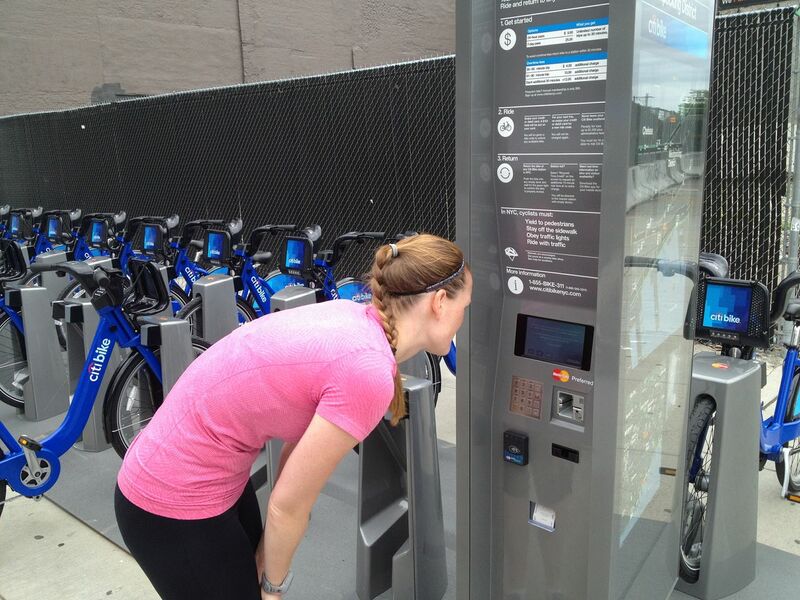 However, if you are up for it, Citibikes allow you as the commuter to take control. You can decide which route to take and, for the most part, you are able to zip through areas with heavy traffic (of course, following the traffic laws!). That being said – like most things in NYC, it all depends on whether or not tourists try to take part. Right now it is mostly enthusiastic New Yorkers participating in the program. When the newbies start hitting the streets,things might get worse. But hopefully, the fact that they have bike share programs in other cities around the world bodes well.